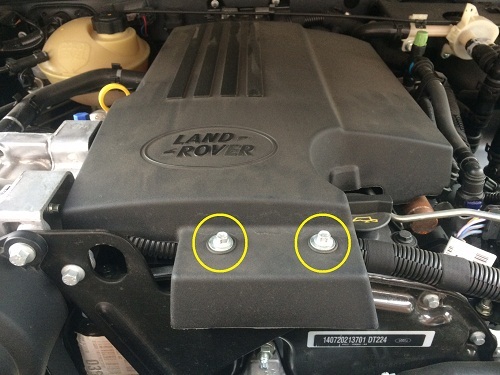 Defender 2.2TDCi ECU Removal And Refitting – BAS Remaps, Powering the Landrover tuning world! 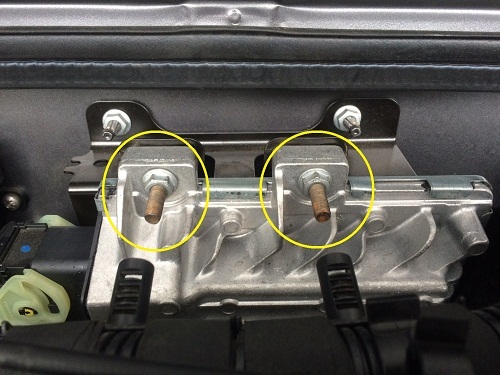 Lift the bonnect and locate the two bolts holding the engine cover on. 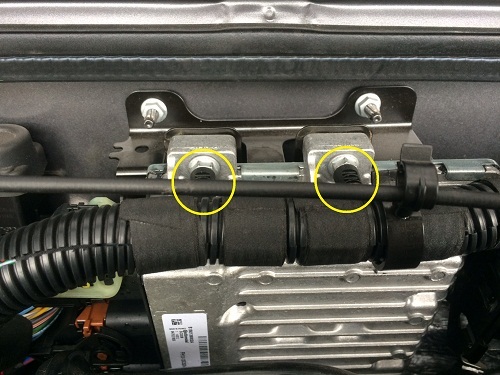 Remove the two bolts at the front of the cover circled in Yellow using an 8mm spanner or socket and ratchet. Lift the cover off the engine once the two bolts are removed from the front, it has a locating peg under the rear edge of the cover that allows the cover to pop off and back on. 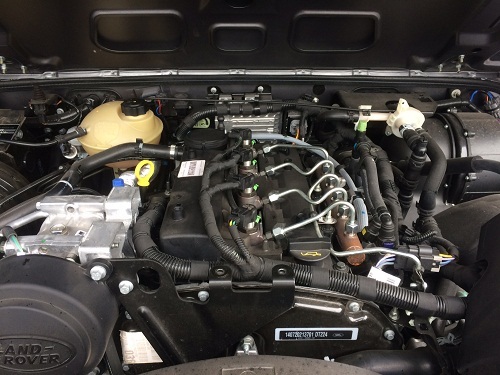 With the cover removed you can gain access to the ECU bolted to the bulkhead of the car, gently pulling the wiring loom you can release the clips holding the loom to the ECU studs. With the loom pulled out of the way you can now use a 10mm spanner or socket and ratchet to remove the two nuts holding the ECU to the bulkhead frame. 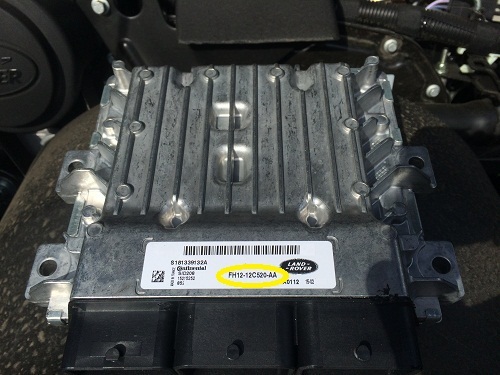 Remove the three ECU plugs from their ECU sockets taking note to press the lock tab down in the middle of the plug before trying to rotate the locking latch. 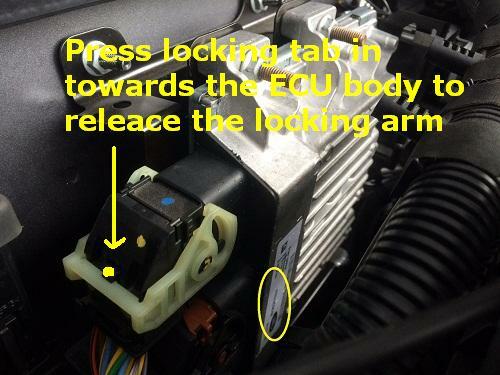 NOTE: When changing or swapping the ECU make sure you have the car key in the OFF position.